Henry’s Tavern: 100 Beers on Tap & So Many Tasty Dishes! My first visit to a Henry’s Tavern was this summer in Portland, Oregon. I was at the airport, looking for a place with a good beer selection where I could get a bite before heading back to Denver. That’s when I happened upon Henry’s: lots of local craft beers, and an appetizer called Gorgonzola Waffle Fries. I was sold. I sat down and relaxed with an Oregon beer and thoroughly enjoyed a huge plate of gorgonzola fries. The next day, I was already craving the fries. Shortly thereafter, I got news that Henry’s was opening a location in Denver. And I was excited! Henry’s Tavern opened in September at 500 16th Street Unit 184B (in the Denver Pavilions), and it’s a great place for people like me, who love craft beer and tasty eats. Henry’s has 100 beers on tap, about half of which are local. 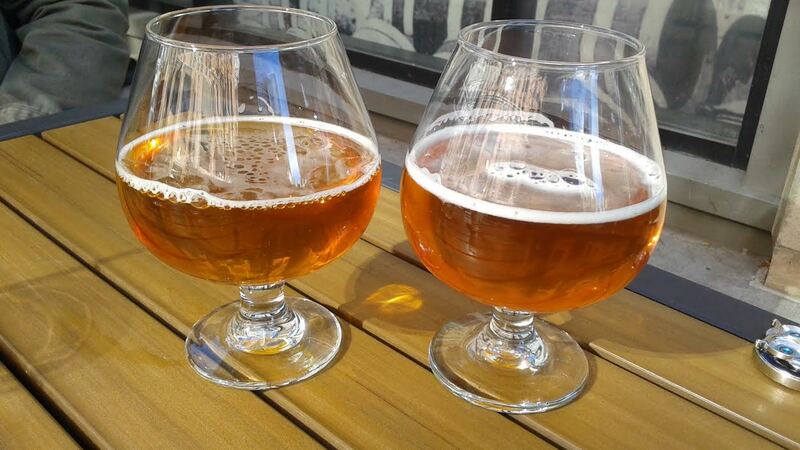 On my recent visit to Denver Henry’s, I decided to start with an Odell Myrcenary Double IPA (one of my favorite Colorado beers) while I looked over the menu. Since it was my first time truly dining there, I wanted to try a variety of dishes. Sometimes finding enough vegetarian options can be a challenge, but this was certainly not the case at Henry’s. I found appetizers, salads, pizzas, a veggie burger, stir fry and lots more. One thing I always look for is beer-cheese soup. I find it often, though it’s usually made with chicken stock, so I’m not able to eat it. 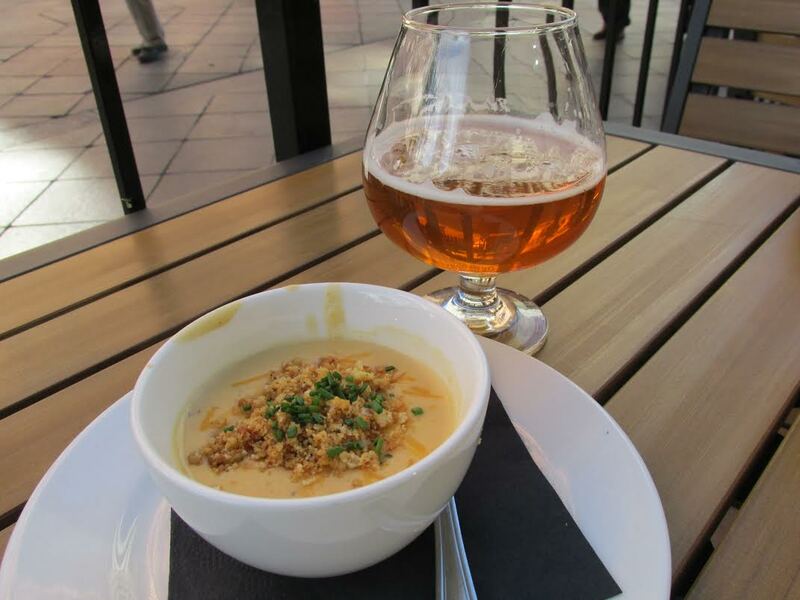 But Henry’s Beer Cheddar Soup is vegetarian friendly, which was a pleasant surprise. Thick, rich and full of flavor, it also worked well as an additional dip for my giant pretzel. I’m not usually much of a salad eater. 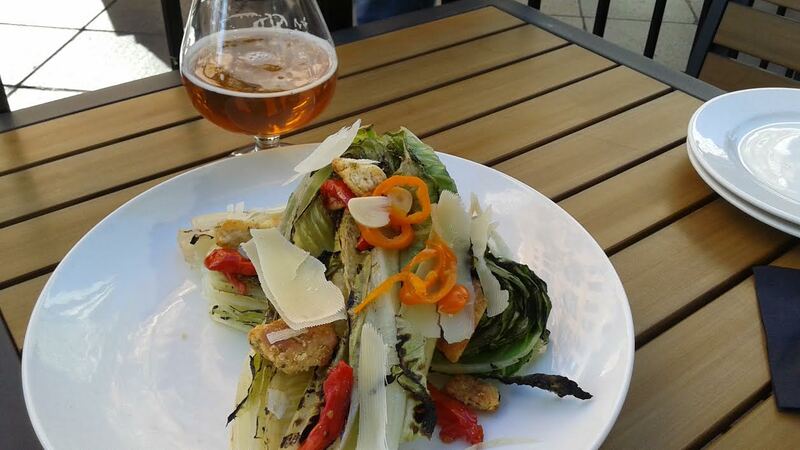 But when I saw “Grilled Whole Romaine Caesar” on the menu, I knew I had to try it. The grilled lettuce really added a certain zest that I found far more enjoyable than a traditional salad. It was truly delicious–best salad I’ve ever had! 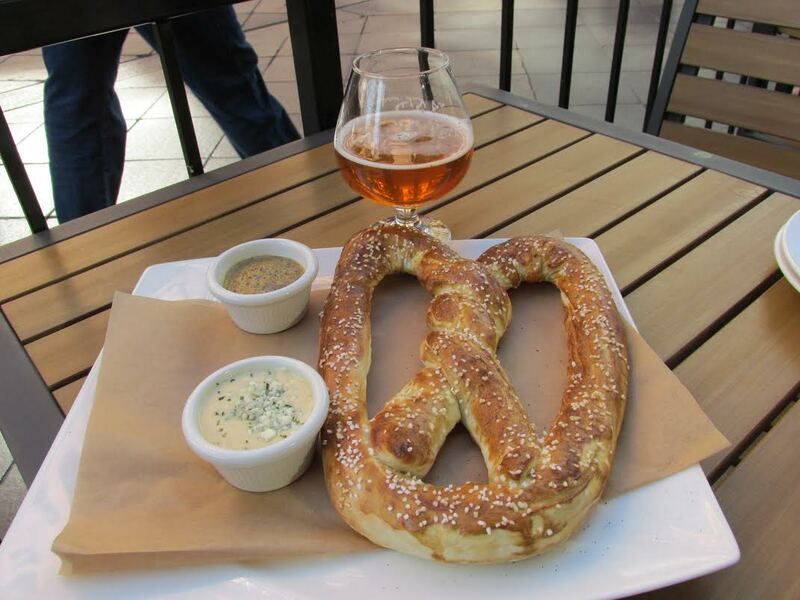 I love soft pretzels; they are one of my favorite things to pair with a beer of any style. The Giant Bavarian Soft Pretzel was hot and fresh with just the right amount of salt. I was happy that I got to choose two sauces at no extra cost. The Creamy Gorgonzola sauce was phenomenal! It’s the same sauce used for the gorgonzola fries, which I already loved. With 100 beers on tap, it’s never a problem to find something good to order. While I had a Colorado beer to start, for my second I went with a Firestone Walker Wookey Jack Black Rye IPA. 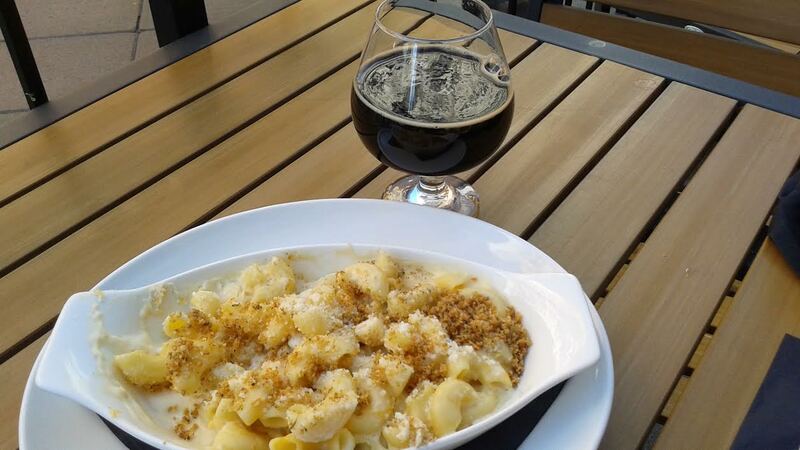 This slightly smoky beer went well with the creamy, garlicky Mac & Cheese. One item that caught my eye is the Mac & Cheese Burger: yes, a burger topped with Mac & cheese! (as well as cheddar ale sauce, applewood smoked bacon, garlic mayo, lettuce, tomato, onion and pickles). It sounds like such a fun meal! If anyone has tried it, please let me know how it was. Henry’s has an excellent of local and non-local craft beers, an extensive food menu, and the patio is perfect for people-watching. If you haven’t been, consider checking it out for your next happy hour or dinner. What I’m looking forward to next time: Tempura Fried Cheese Curds.